At Fletcher, I am a candidate for a Master of Arts in Law and Diplomacy, and I specialize in International Negotiation and Conflict Resolution. 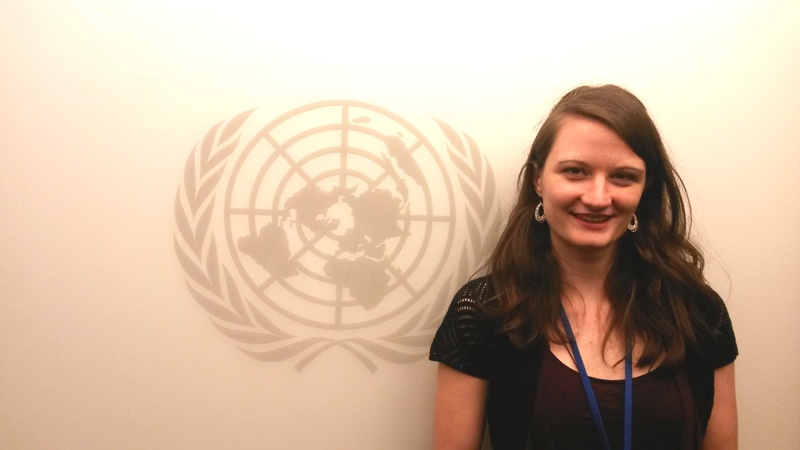 As an intern for the United Nations Peacebuilding Support Office, I put the fruits of my studies into practice as part of the UN body that monitors and advises conflict-affected states, as they navigate the precarious road to political and economic stability. For this internship, I am fortunate to be able to focus most of my efforts on co-organizing the upcoming Global Forum on Youth, Peace and Security in Amman, Jordan. The aim of the forum is to shift the global conversation about youth and conflict to highlight the vast potential of youth in peacebuilding, in part by showcasing the current peacebuilding efforts of youth around the world. Forum participants include individual youth peacebuilders and youth organizations, member states, donors, non-governmental organizations, academics, and UN agencies. With the forum Steering Committee, I select the participants who will generate the maximum impact to the peacebuilding world, while also maintaining gender and regional balance. Additionally, I curate the forum agenda to reflect the three main themes of youth, peace and security, as well as such sub-themes as Countering Violent Extremism and Disability and Conflict. I also ensure that youth participants have a seat at each panel and presentation, because their voices are an integral part of the message of the forum. After the speakers are selected, I guide the development of their remarks and other input to the forum. Finally, I coordinate the rapporteurs and moderators who will facilitate each session. Furthermore, with the Communications Committee, I design and implement the communications strategy for the forum. This strategy encompasses both traditional and social media, and heavily involves both youth and high-level participants. In the second half of my internship at the Peacebuilding Support Office, I will go to Amman to support the forum as it happens, working with the young people to make sure that their voices are heard as young peacebuilders with a crucial role in preventing and countering conflict. After the forum, I will write the final report, gathering feedback from all participants and organizers of the forum. I am excited to see the outcome of this incredible conference, and to collaborate with the changemakers who are creating peace around the world!